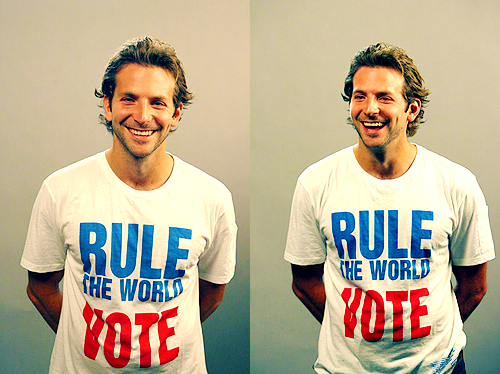 Bradley<3. . Wallpaper and background images in the Bradley Cooper club tagged: bradley cooper 2010 2009 movie. This Bradley Cooper fan art might contain जर्सी and टी शर्ट.